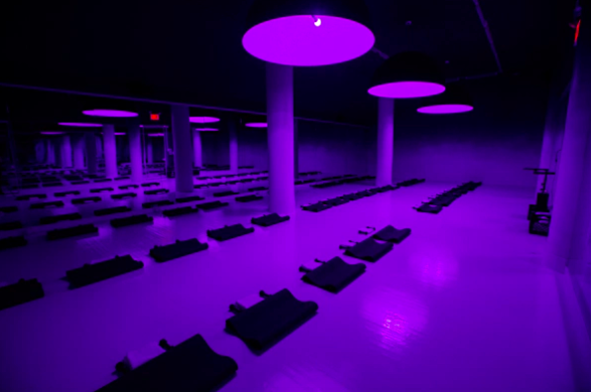 Two months ago, a dimly lit Flatiron studio transformed into a new SoulCycle workout space. The new minimalist offering, SoulAnnex, varies drastically from the company’s 80 other studios across U.S. and Canada. At NYC’s SoulAnnex, you will not find a single bicycle. According to SoulCycle CEO Melanie Whelan, SoulAnnex represents the company’s response to customer feedback indicating they wanted more ways to spend time in SoulCycle’s aromatic, invigorating studios. With an experiential goal of transporting attendees from the noise, dirt, and crowds of New York City, Whelan created “an amalgamation of thousands of details,” including glowing lilac and melon pink fixtures and cold, lavender-scented towels. At the core of what SoulAnnex offers is a challenging workout routine. Led by SoulCycle-quality instructors, SoulAnnex classes include a variety of strength training, dance, stretching, cardio, and Vinyasa yoga with weights, lunges, and squats. With an intentional strategy to continue to invest in experience, community, and personal customer connections, Whelan believes this pilot studio, with classes selling out within a day’s posting, may further the company’s goal to build awareness. Read more here.